Ming-Syan Chen (陳銘憲) received the Ph.D. degrees in Computer, Information and Control Engineering from The University of Michigan, Ann Arbor, MI, USA. He is now an NTU Chair Professor at National Taiwan University and also the Dean of the College of Electrical Engineering and Computer Science. He was a research staff member at IBM Thomas J. Watson Research Center, Yorktown Heights, NY, USA from 1988 to 1996, the Director of GICE from 2003 to 2006, the President/CEO of Institute for Information Industry (III), which is one of the largest organizations for information technology in Taiwan, from 2007 to 2008, and also a Distinguished Research Fellow and the Director of Research Center of Information Technology Innovation (CITI) in the Academia Sinica from 2008 to 2015. His research interests include databases, data mining, machine learning, and multimedia networking, and he has published more than 350 papers in his research areas. 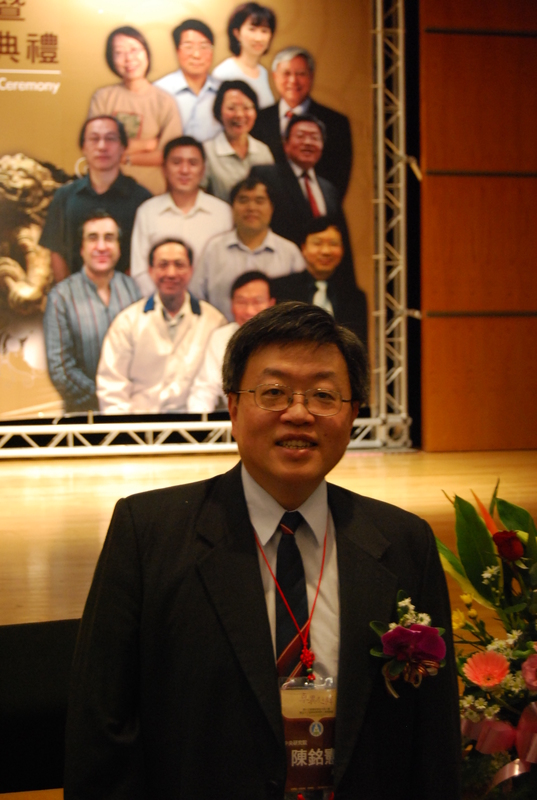 In addition to serving as program chairs/vice-chairs and keynote/tutorial speakers in many international conferences, Dr. Chen has served as an associate editor of IEEE TKDE, VLDB Journal, KAIS, and also JISE, and also the Editor-in-Chief of the International Journal of Electrical Engineering (IJEE). Dr. Chen was the Chief Executive Officer of Networked Communication Program, which is a national program coordinating several primary activities in information and communication technologies in Taiwan. He is a recipient of the National Chair Professorship and the Academic Award of the Ministry of Education, the NSC (National Science Council) Distinguished Research Award, Y.Z. Hsu Science Chair Professor Award, Pan Wen Yuan Distinguished Research Award, Teco Award, Honorary Medal of Information, and K.-T. Li Research Breakthrough Award for his research work, and also the Outstanding Innovation Award from IBM Corporate for his contribution to a major database product. He received numerous awards for his research, teaching, inventions and patent applications. Dr. Chen is a Fellow of ACM, a Fellow of IEEE and also a Fellow of Chinese Society for Management of Technology.